1 1/2 in x 14 Gauge 68 mil ClarkDietrich FastBridge Clips at Cowtown Materials, Inc. The ClarkDietrich FastBridge clip is used to secure U-Channel or Cold Rolled Channel (CRC) to structural wall studs when used in load-bearing or curtain wall applications. The wall stud friction fit design allows for as little as one screw for the connection to the U-Channel. 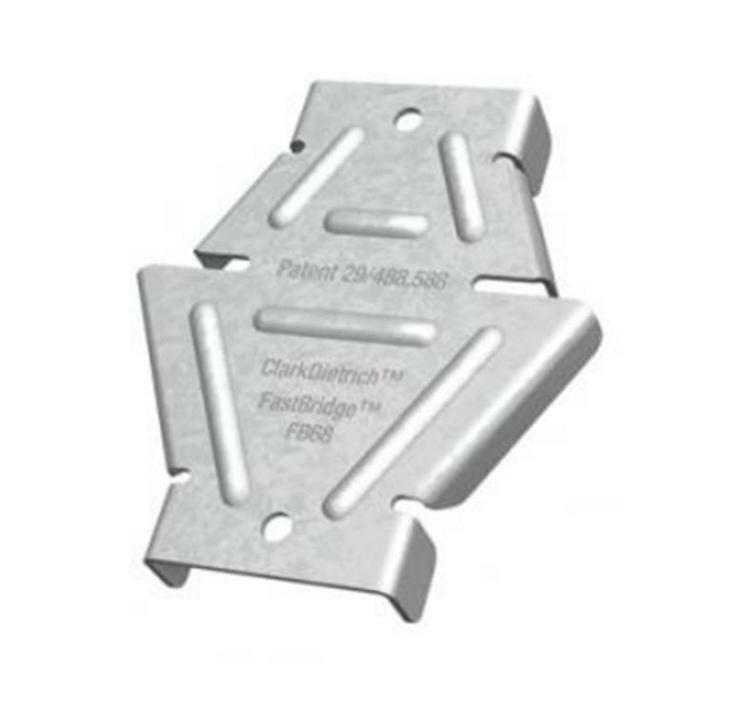 The FastBridge clip is a stiffened, G90 galvanized steel clip that's tested and designed to facilitate the rapid, efficient installation of 1-1/2" U-Channel lateral bracing for exterior curtain wall framing, loadbearing walls or high interior partitions constructed of structural studs.